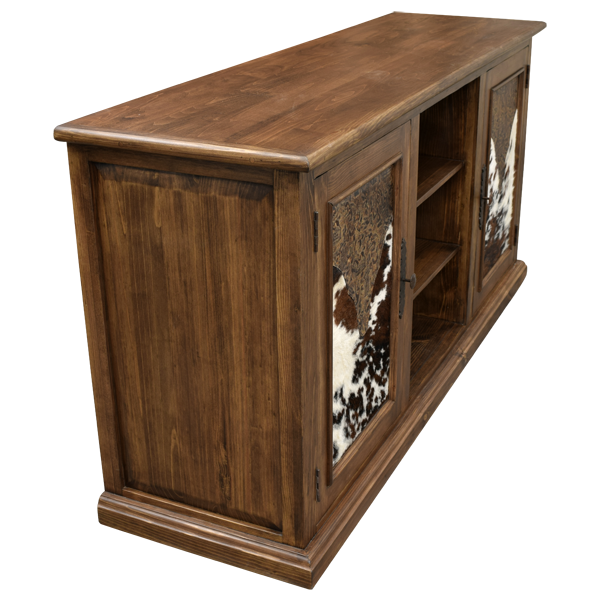 The combination of leather and cowhide on this handcrafted, Western style credenza will add authentic Western character to your décor. 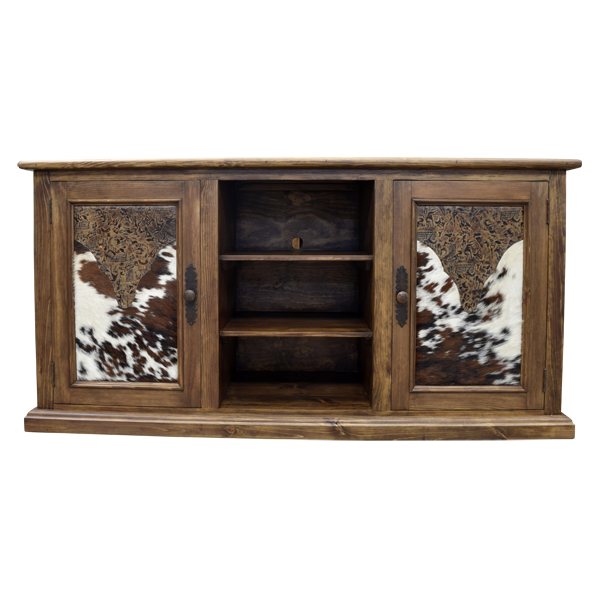 Each front side of the credenza has a cabinet door, which is covered with a combination of embossed, full grain leather and white and brown, patterned cowhide. Both cabinet doors have a hand forged, iron handle on its side. Centered in the credenza is a large, open space with two shelves for displaying personal items. On each lateral side of the credenza is a decorative, geometric cut panel. The credenza rest on a solid wood molding base, and the base can be used as an additional display area. 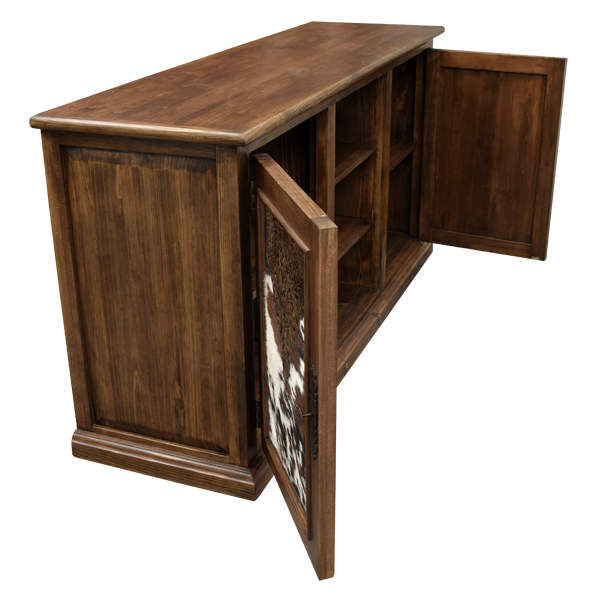 It is finished with a light stain, and the credenza is made with the best, sustainable, solid wood available. It is 100% customizable.